Udemy, the online education portal with a subscription of 30 million students and 42,000 instructors worldwide, has expanded operations in India keeping Gurgaon as its employee hub. Founded in 2010, Udemy is an online learning destination that helps individuals, companies, and governments gain the skills they need to compete in today’s global economy. India is one of the company’s fastest growing markets, with revenue and students doubling year-over-year, and this local presence should enable Udemy to continue enhancing and localizing the student and instructor experience. The platform allows experts everywhere to develop courses on thousands of topics and share their knowledge with the world. Students learn the most current and in-demand skills from public speaking to mindfulness to the newest programming languages and marketing strategies. 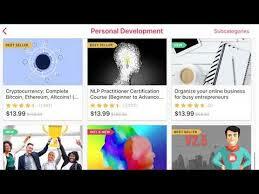 It is believed that Udemy courses are in over 50 languages that can be viewed on the web, on a mobile device, Apple TV, and through Chromecast. In addition, Udemy students are able to download and view the courses offline, as well as change video quality for low-bandwidth environments. Udemy forays India to expand online teaching operations 0 out of 5 based on 0 ratings. 0 user reviews.